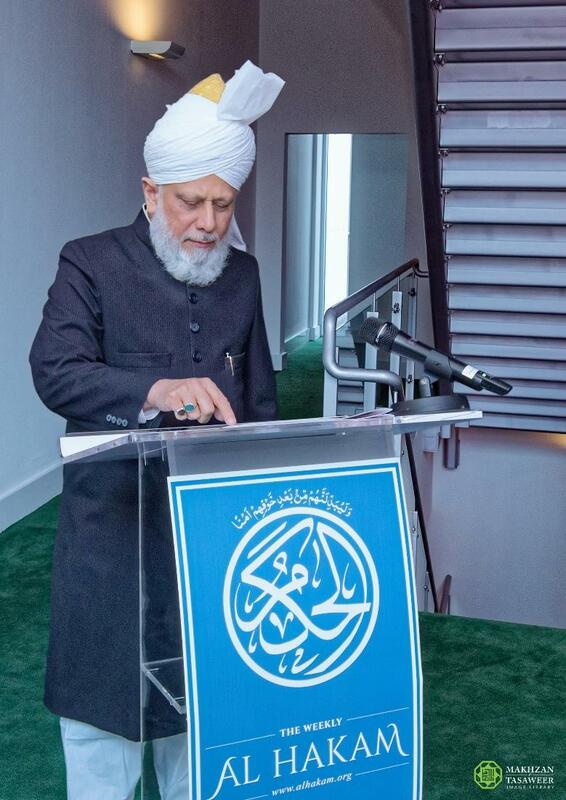 The Ahmadiyya Muslim Community is pleased to announce that on 23 March 2018, the World Head of the Ahmadiyya Muslim Community, the Fifth Khalifa (Caliph), His Holiness, Hazrat Mirza Masroor Ahmad relaunched the ‘Al Hakam’ newspaper. Henceforth, Al Hakam will serve as a weekly English newspaper for members of the Ahmadiyya Muslim Community and will aim to provide Ahmadi Muslims with historical and contemporary content regarding the true teachings of Islam. His Holiness officially relaunched the newspaper from the Baitul Futuh Mosque after earlier announcing its relaunch during his Friday Sermon. The newspaper will be in print and the weekly editions will also be available online every Friday at www.alhakam.org. Al Hakam was first launched by the Founder of the Ahmadiyya Muslim Community, Hazrat Mirza Ghulam Ahmad, the Promised Messiah (peace be upon him) in 1897 and after its relaunch in 1934, it remained in publication till 1952.